Classic Comfort - Everyday Design. 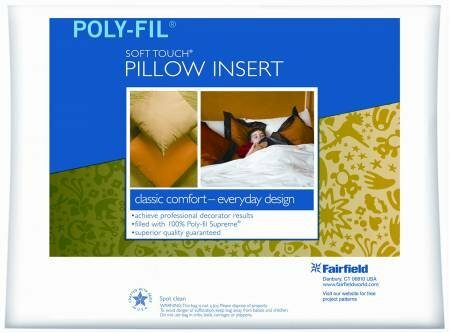 Soft Touch luxury pillow inserts have the look and feel of down and are one of our bestsellers among crafters and home designers. We offer a wide variety of sizes and shapes, including popular boxed-edge styles, making them the most versatile pillows in our product line. They are filled with 100% recycled polyester fiberfill and feature a 65% polyester, 35% cotton, 200-thread count, high quality cover.